Prepaid carriers are a great option for many who want to save money. Quite often though, there is a trade off in available cool handsets or features in order to participate in such savings schemes. The other trade-off is dealing with an early termination fee from your existing carrier if you make a switch before the contract is up. Ting, whose roots are in Canada, is an MVNO (Mobile Virtual Network Operator) in the US, using Sprint’s network, is offering to provide credit up to the maximum anticipated ETF of $350 per line. Plus, you can bring as many lines as you want. On top of that, the carrier offers some great smartphones, like the Samsung Galaxy S III, Galaxy Note II, the Galaxy Nexus, the LG Optimus G, and more. If you have a Sprint device, you can bring that over to Ting as well. The caveat is that if you are switching from another carrier, you will have to buy a device on Ting, which means that you will pay closer to retail rather than a subsidized price. However, if you break your contract, pay your ETF (before Ting offers you your credit), you will have a working device to sell on eBay or Craigslist. Here is how it works, Ting’s ETF campaign starts on February 1st when you port your number to Ting, you will get your final bill from your carrier which would show your ETF. Simply scan the bill, send it to Ting, and the carrier will drop an equivalent credit on your account. Is there any fine print? Just a little, first the offer is not retroactive and is only for the month of February, so you will want to plan accordingly. Also, Ting has “only” set aside $100,000 for the ETF fund, which means it would only support about 285 users with a full ETF load. Outside of that, there does not look like there is too much to worry about. 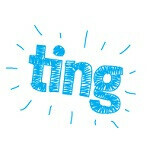 Ting’s plans are set up as a sort of a-la-carte style, where you choose your minutes, texts and data as you see fit. The savings could be significant depending on the plans you are paying for now. In addition, many features are included, such as tethering and hotspot. If you have been considering making a change to save some money, this may be an opportunity worth looking into. I have had Sprint in the recent past, but now utilize Ting and Boost Mobile as it is much cheaper.